Part of our jobs as teacher is to sit down with parents once or twice a year to discuss their children's progress and to set goals for future success. I always thought it was funny how parents and teachers get together to have these conversations, and to make decisions about a student's learning. For me, the missing link was always the student. As a teacher who has spent (almost) her entire career working with upper grade students, I started to realize that these students really needed to be involved in their own conferences. 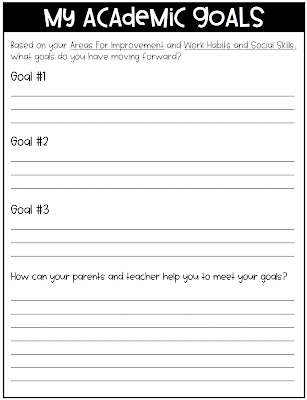 Why not let students lead the conversation about their progress and goals?? 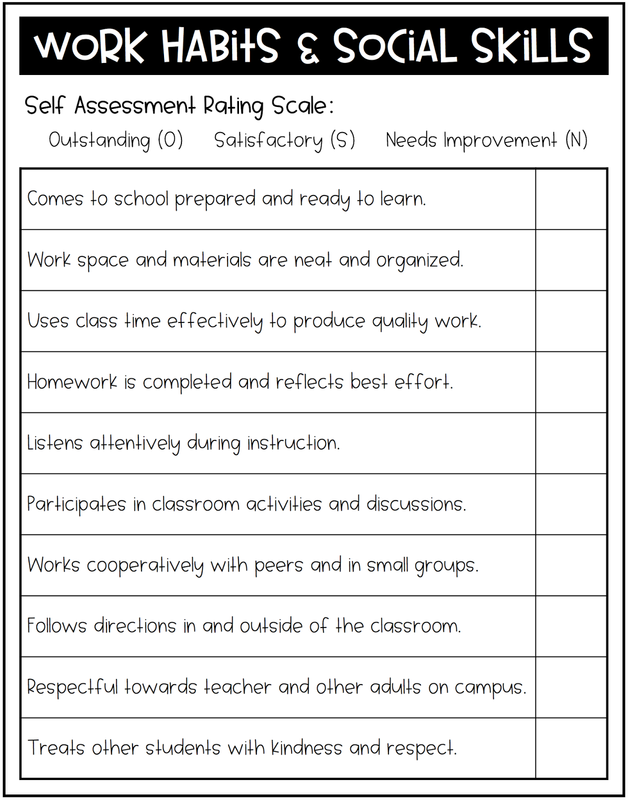 First, students take ownership and responsibility for their behavior, work habits, and grades. Instead of the teacher "defending" grades or marks for behavior, students must explain to their parents (and teacher) why they earned those marks. Another benefit is that everyone is on the same page!! So much is lost in translation from school to home and home to school. 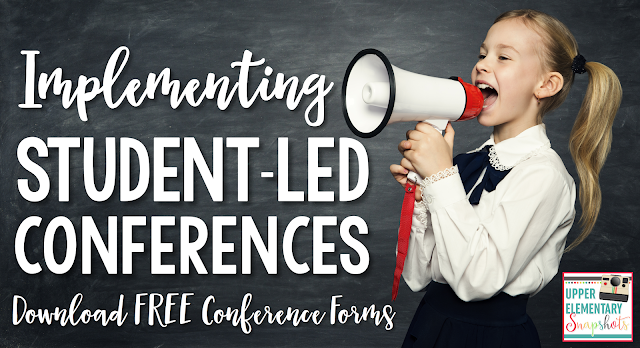 With all parties involved, students, teachers, and parents can come together to discuss a student's needs without blame or excuses. Also, students have more buy-in when setting and working toward goals. When students are able to identify and discuss their own strengths and weaknesses, they have a much easier time setting goals, and doing the work to meet those goals. Most importantly, students feel a sense of pride and maturity when taking part in making decisions about their own education. 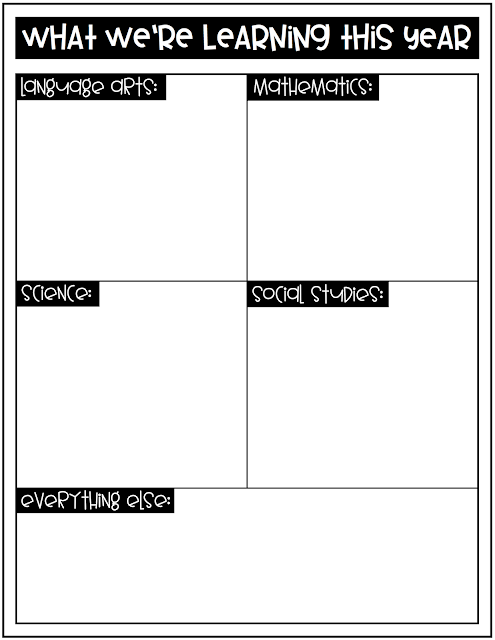 I like for students to start their conferences by sharing what they are learning in class. Often times, this is the first chance that parents get to learn about what goes on in our classroom each day. It also gives students a chance to highlight some of their favorite activities that happen at school. 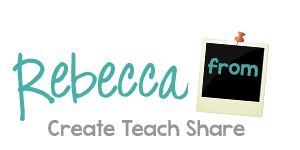 Students usually spend about a minute or two sharing what they are learning. 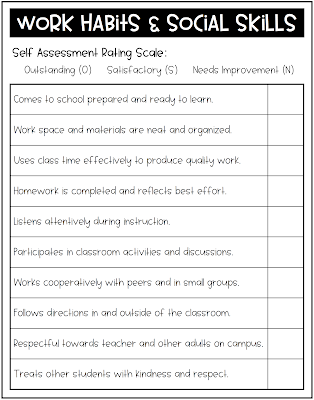 In the weeks leading up to their conferences, students complete a couple self evaluations. The first asks them to evaluate their behavior and work habits. Then they complete a page about their strengths and weaknesses. 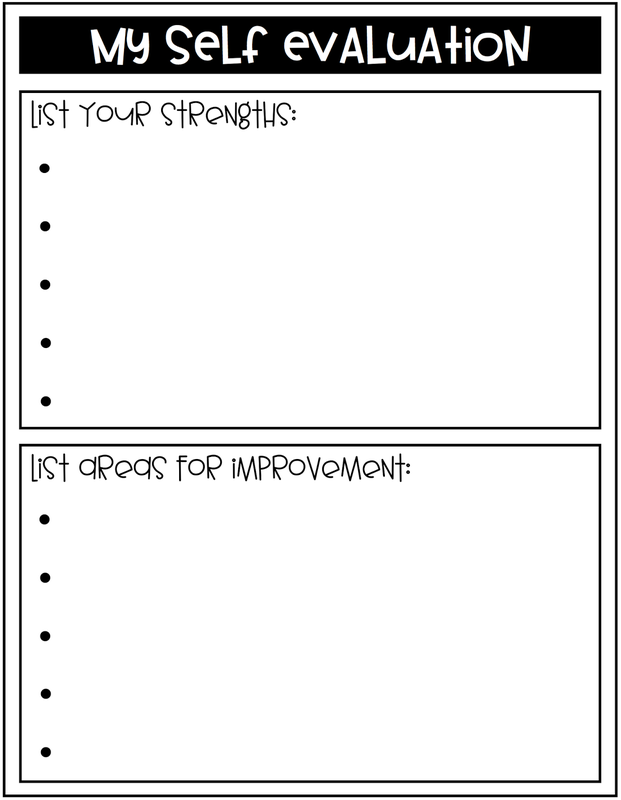 This is good jumping off point for setting goals. 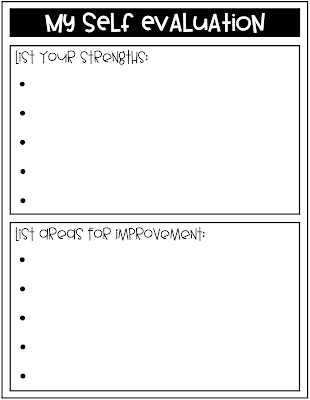 During the conference, students will briefly share these evaluations. 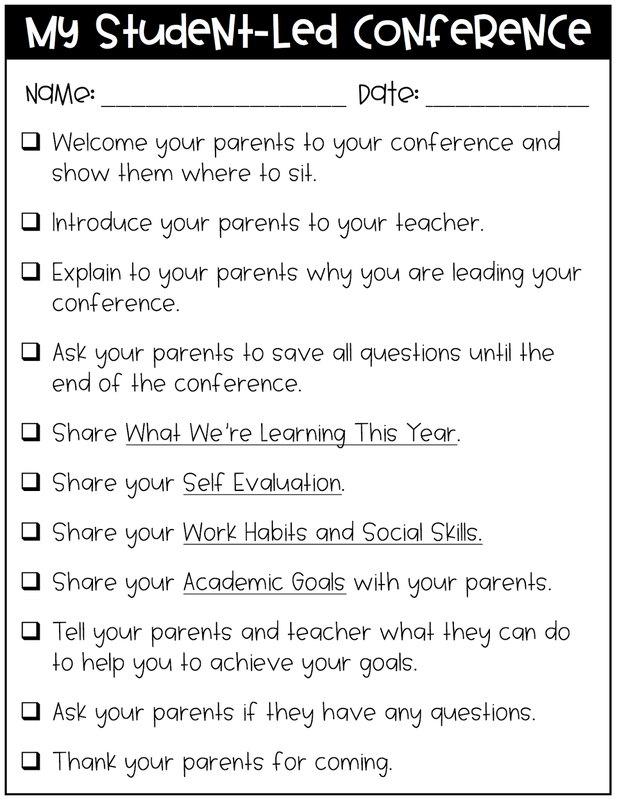 This is the final stage of our student-led conferences. 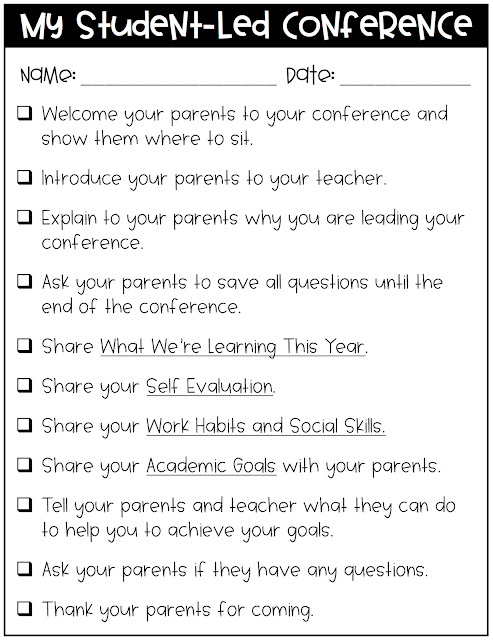 You could have students write goals prior to their conference, or have them write them with their parents present. For the sake of time, I usually have students write their goals before their conference, and then modify them as needed during the conference. 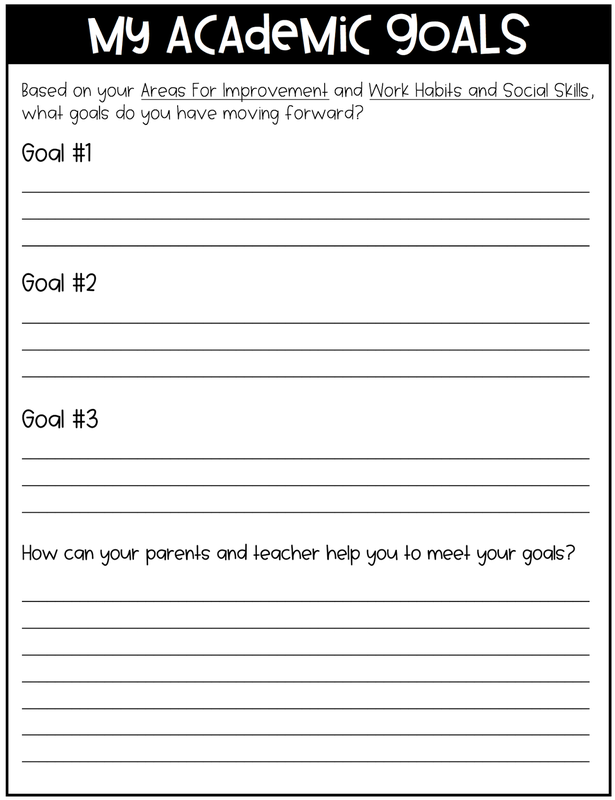 I also ask students to share with me and their parents what we can do to help them reach their goals. After all, we're a team and students should realize that they are not alone in achieving their goals! After students have shared their evaluations and goals, and after parents have asked their questions, that is usually when I will step in to share the student's grades and any final thoughts. By the time we reach this point, so many great conversations have already taken place and students are able move forward toward achieving their goals. 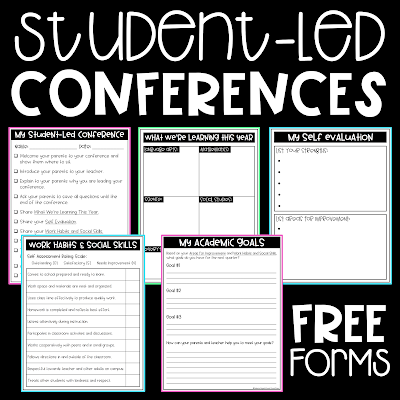 The conference forms shared in this post are available as a FREE download in my Teacher Shop!! Click on the pic below to access this resource.